Keyword : Childhood obesity, Lipid profile, BMI. 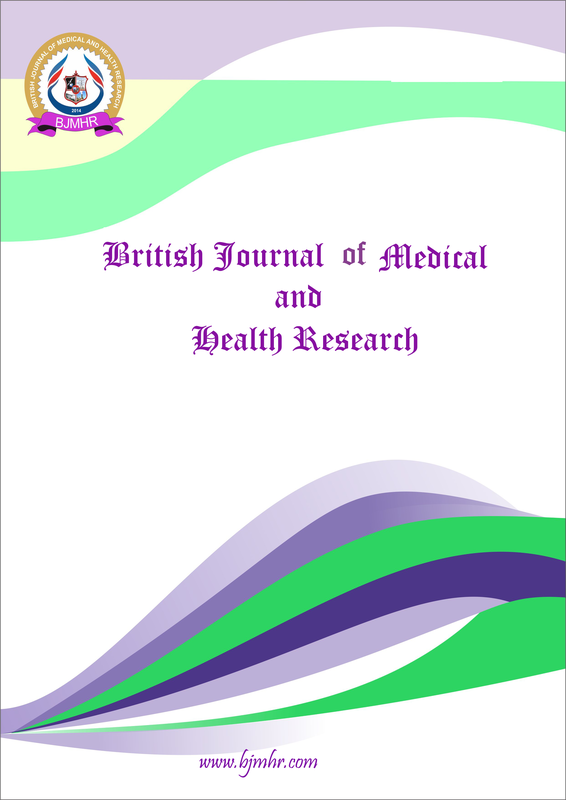 Abstract : Cerebrovascular diseases have recently emerged as a major health problem affecting the elderly population. Volume of the blood is one factor which can determine the prognosis of the patient with intracerebral hemorrhage. A prospective observational study was done at Neurology ward of Chittagong Medical College Hospital (CMCH). The aim of this study was to determine the 30-day mortality of intracerebral hemorrhage in a hospital population and to determine the most important predictor of 30-day outcome. Seventy cases of spontaneous intracerebral hemorrhage were analyzed and followed up for 30 days in hospital and house where necessary. Statistical analyses were performed to see the outcome in relation with blood volume by SPSS-18. In this study, 50(71.42%) patients had hypertension. Diabetes mellitus was found among 6(8.57%). aphasia was found 40(57.1%) patients, dysarthria was in 11(15.7%), motor deficit in 65(92.9%) patients, 48(68.6%) patients had cranial nerve involvement and 32(45.7%) patients had abnormal fundoscopic findings. Regarding analysis of volume of hemorrhage, <5 ml was found in 9(12.9%) patients, 5-15 ml was found in 32(45.7%) patients, >15-30 ml was found in 15(21.4%) patients, >30-60 ml was found in 10(14.3%) patients and >60 ml was in 4(5.7%) of patients. Among all patients, no of death was 9(12.8%) within 30 day and rest 61(87.2%) were alive. After analysis, it was found that fatal outcome is more with increased volume of hemorrhage (p<0.05). It was 100% with >60ml of hemorrhage. Volume of intracerebral hemorrhage is a powerful and easy-to-use predictor of 30-day mortality in patients with spontaneous intracerebral hemorrhage.